Enjoy your weekend celebrating the Fathers in your life. I will enjoy the weekend with mine...hope it's wonderful and see you next week! 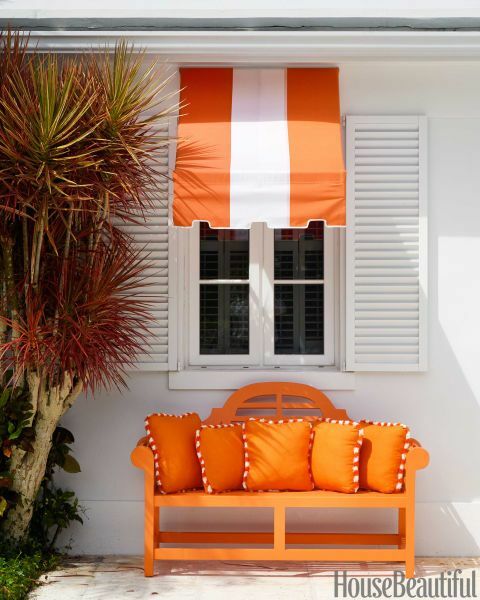 Beautiful and bold orange , a summer respite!! Have a great weekend Daniela!! Who made the awning? Whose fabric? I am having a hard time replacing my black and white ones only to find black and GRAY, ug!